Hello everyone! 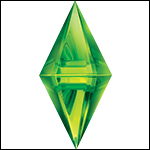 I'm a passionate player for The Sims since it started ... many, many years ago. I had all the EPs and I didn't have time to explore them thoroughly because then Sims 2 came out. I have everything in this new series, except for the Store and the Ultimate Collection. I own all the EPs and - I think - almost all the Stuff. Now I only play Sims 2 and I have never continued with the following series, 3 and 4, which in fact I never bought. My CCs spurt out of the computer like the Rome's fountains! I'm Italian (did you understand that?) and I write. I'm the author of Hybonyx, a scifi sentimental novel, currently published in my mother-language. My dream is that it is translated into English ... And in the meantime I'm writing many other novels, including the sequel to Hybonyx. I greet you, dear Simmers, and I wish you much fun. And sorry for any errors due to my poor english. I'm glad to be here. Hello YleniaHouse and welcome to this cozy forum.